COMUNICAT: Per motius aliens a l’organització del Festival Músiques Sensibles, el concert d’Amber Run programat el proper 9 de novembre ha estat cancel·lat. Les entrades seran retornades. Disculpeu les molèsties. 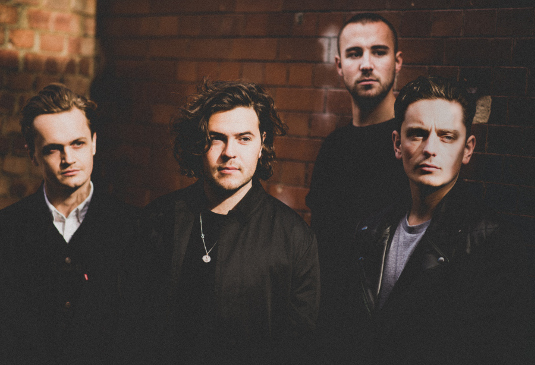 MISSATGE AMBER RUN: We’re very sorry to have to cancel our shows in Milan, Barcelona and Madrid on our upcoming European headline tour due to unforeseen circumstances. You guys mean the world to us and we are so gutted to not be able to perform for you on this occasion. However, we fully intend to come back to perform shows in Spain and Italy in the future. We understand that this is a real disappointment and can only apologise and tell you the decision was not made lightly. Cancelling shows is not something we want to do but in this case it is truly unavoidable. Thank you so much for your support this far and we hope we will get to see you soon.